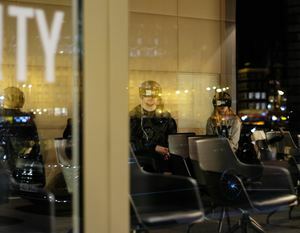 Virtual reality has been developing for decades, but it’s beginning to be harnessed in areas of life other than seaside town arcades and cinema multiplexes. Within end of life care, there’s been a move towards using VR to make the dying process a little more forgiving and fulfilling. Virtual reality is a fully computer-generated experience, with the ability to create an experience that doesn’t yet exist or one that never can – such as how it looks to journey through a black hole, or even a successful round of Brexit negotiations. The tech amounts to an immersive experience through headsets, gaining it’s all-encompassing sense of reality through visuals and sound. Some versions, though, are fully immersive, and even use the sense of touch. How is VR helping those who are dying? Virtual reality is now being used by hospices and hospitals to offer relief to terminally ill patients and those living with dementia. A charity hospice in London has allowed dying patients to run with wild horses in Iceland, traverse the Java sea, go skydiving and tour Venice’s canals aboard a gondola, all without leaving their beds. Last year, Flix Films and Trinity Hospice in Clapham started working together to use VR to improve patient well-being. It’s all about letting people escape their bodies for a bit, and not letting the dying process define a whole, rich life. 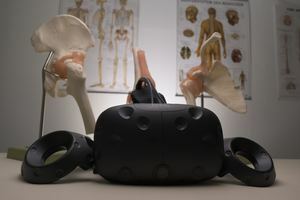 It’s not all paddleboarding while sipping cocktails – VR tech can also help create better patient-carer relationships. Initiatives like A Walk Through Dementia are getting those who aren’t dying to experience what it’s like for those with illnesses such as dementia. This might lead to better patient-oriented care. How might VR help in the future? Virtual reality has the potential to allow people to go beyond the limitations of their bodies, helping them to realise that they’re more than just what their body can and can’t do. Experts have said that VR tech has the potential to encourage transformations in how people approach their death. Unlike acute pain (like an ankle sprain or a wasp sting) chronic pain gets wired into the brain. It might be that a Google Daydream or a Samsung Gear headset, while offering up landscapes of vistas of the French Riviera, also alters the mindset of those facing death, helping to create a good death. VR tech is only getting more sophisticated. Flix Film’s latest venture with a camera that allows them to shoot original 360-degree experiences complete with livestream and surround sound. Why stop at simply virtual reality: the next step might be augmented reality – where reality and unreality is fully blurred. Do you remember when Mortal Kombat was discussed on lofty discussion shows, and virtual reality was still a brave new world? Reminisce with this BBC Archive video. Read more of our Death Case Studies that look at different perspectives on death, from psychedelic drugs, near-death experiences to how our microbes stave off death.